The Caribbean as a region has always been variously defined. The most inclusive definition describes the region, in geographic and cultural terms, as that region bounded to the north by Bermuda and the Bahamas, to the west of Belize located on the Central American mainland, to the East by that arc of islands extending to Barbados, and to the South by Guyana and Suriname on the South American mainland and the islands of Aruba, Curacao, Bonaire and Panama between Columbia and Costa Rica. This definition of the Caribbean would include Dutch, English, French, and Spanish-speaking territories. Based on political and cultural grounds, Cuba, Panama and the Dominican Republic have been grouped with Latin America, while Martinique, St. Martin, Guadeloupe, and Puerto Rico have been excluded on political grounds, based on their relationships to France and the United States respectively. By exclusion, therefore, the Caribbean is defined here as Haiti from the French-speaking group, all the English-speaking territories, and Aruba, the Netherlands Antilles, and Suriname from the Dutch- speaking group. Before the middle of the nineteenth century, education throughout the British Caribbean consisted of three types: education abroad on private initiative; education in the islands in exclusive schools designed for local whites lacking the resources for a foreign education; and education for the academically able of the intermediate group of non-whites. Slaves and their offspring were given little more than religious instruction. Indeed, in 1797 a law in Barbados made it illegal to teach reading and writing to slaves. In the early nineteenth century, the endowment from the Mico Trust--originally established in 1670 to redeem Christian slaves in the Barbary States of North Africa (Tripolitania, Tunisia, Algeria, and Morocco) --opened a series of schools for blacks and free nonwhite pupils throughout the Caribbean and three teacher training colleges--Mico in Antigua and Jamaica and Codrington in Barbados. Nevertheless, the main thrust of public education in the nineteenth and early twentieth century's did not come from the local government, but rather, from the religious community. Competing Protestant denominations--the Church of England, the Baptists, the Moravians, the Wesleyans, and the Presbyterians--and the Jesuits operated a vast system of elementary and secondary schools. 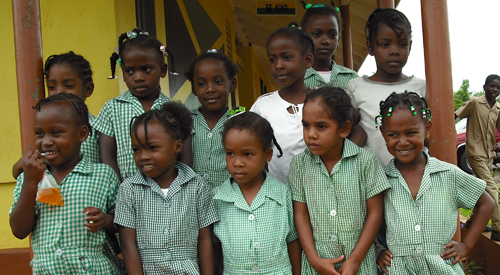 At the end of the nineteenth century, the churches monopolized elementary education in Jamaica and Barbados and ran a majority of the primary schools in Trinidad, Grenada, and Antigua. The most outstanding secondary schools--St. George's College, Kingston College, Jamaica College, Calabar High School, and the York Castle High School in Jamaica; Harrison College, Codrington College, the Lodge School, and the Queens College in Barbados; and Queen's College, St. Mary's, and Naparima in Trinidad--as well as the principal grammar schools in the Bahamas, Antigua, St. Kitts, and Grenada owe their origins to the religious denominations. Each territory had a board of education, which supervised both government and religious schools. Government assistance slowly increased until by the middle of the twentieth century the state eventually gained control over all forms of education. Although far from perfect--most colonies still spent more on prisons than on schools--public education fired the ambitions of the urban poor. Based on the British system--even to the use of British textbooks and examinations--the colonial Caribbean educational system was never modified to local circumstances. 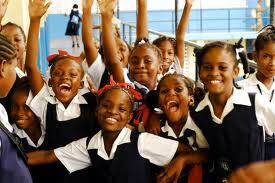 Primary education begins at age 5 in the English-speaking Caribbean. In the Netherlands Antilles, it begins at age 6. 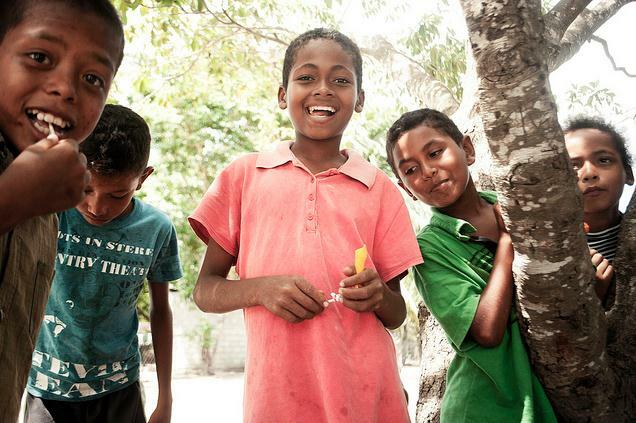 Primary schooling ends at age 11 in most countries, with the exception of Anguilla, Antigua and Barbuda, Belize, Bermuda, and the Netherlands Antilles where it ends at age 12, and Montserrat and St. Lucia where it ends at age 12.5 and age 17 respectively. In most countries, standardized tests are given at the end of the sixth grade of primary education for admission to enter secondary education. The emphasis is on academics, and language arts, mathematics, science, and social studies are the main areas tested. In some territories Primary Education and the lower levels of Secondary Education may be combined into a Senior or All-Age school. Source: Sandra W. Meditz and Dennis M. Hanratty, editors. Caribbean Islands: A Country Study. Washington: GPO for the Library of Congress, 1987. 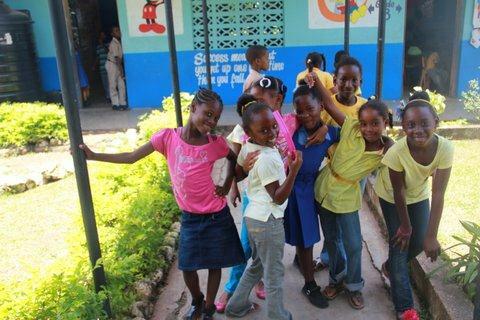 With very few exceptions, almost all children (both boys and girls) living in Barbados and in the Eastern Caribbean attend primary school, which is compulsory and is offered free in public schools, under the responsibility of the various Ministries of Education. Though private, fee-paying schools exist, the majority of children attend government/public schools and the trend in most primary schools is that girls outperform boys academically. This trend still continues. Some children, however, do not attend primary school on a regular basis for various reasons and these include the inability of parents/guardians to meet supplementary costs of education such as transport, books, uniforms and lunch money. Other reasons may include the inability of the education system to meet the special needs of the children who are disabled or have learning difficulties, and the inaccessibility of schools for children who live in remote rural/interior areas. Although primary school enrollment rate is high, staffing issues can sometimes affect the quality of teaching and these include: Relatively low and non-competitive salaries; lack of training and qualifications; ‘ghost teaching' as teachers are involved in other supplementary income activities; high stress levels among teachers; declining social status of and respect for the teachers and high teacher turnover as some of them migrate to North America for more lucrative employment opportunities. The educational system was slow to reach most Jamaicans until the early 1970s. Even after the abolition of slavery, education remained uncommon; early efforts were conducted mostly by Christian churches. In the late 1800s, some secondary schools created in Kingston served primarily the light-skinned elite. The limited availability of schools, especially beyond the primary level, and the elitist curriculum intensified class divisions in colonial society. A dual system of education, characterized by government run primary schools and private secondary schools, effectively barred a large part of the population from attaining more than functional literacy. In addition, much of the content of formal education in Jamaica was largely irrelevant for students unable to attend universities in Britain. In 1943, less than 1 percent of blacks and only 9 percent of the mixed races attended secondary school. The start of early self-government in 1944 finally cleared the way for increased funding for education. From the establishment of the Ministry of Education in 1953 to independence in 1962, a national education policy was developed that expanded the scope of education and redefined educational priorities. During the 1960s, the major goal of the government in the field of education was the construction of an adequate number of primary schools and fifty junior secondary schools (grades seven, eight, and nine). Until the 1970s, however, the educational system continued to provide insufficient opportunities at the post primary levels because many of the features inherited from the British educational system remained. 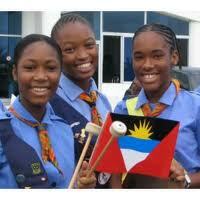 The Peoples National Party ( PNP) government elected in 1972 initiated major changes in the educational system. Qualitative and quantitative improvements in education were identified as the key elements of the new government's program during its first term in office (1972-76). The two most important aspects of the program were universally free secondary and college education and a campaign to eliminate illiteracy. Educational reforms were intended to redress the social inequalities that the system of secondary education had formerly promoted and to create greater access for all Jamaicans to the preferred government and private-sector jobs that typically required a secondary school diploma. The reforms of secondary education had positive but limited effects. Greater access to education was the main accomplishment of the reform process, but limited funding may also have lowered the quality of education for the increased numbers of students attending secondary schools. Nevertheless, the introduction of universally free secondary education was a major step in removing the institutional barriers confronting poor Jamaicans who were otherwise unable to afford tuition. 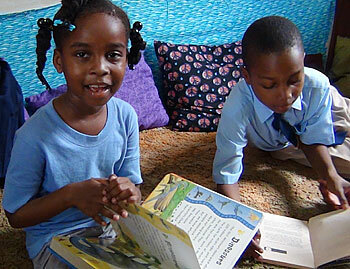 After changes in its literacy policies in the early 1970s, the PNP government in 1974 formed the Jamaica Movement for the Advancement of Literacy (JAMAL), which administered adult education programs with the goal of involving 100,000 adults a year. Although in 1987 specific data were lacking, increases in the national literacy rates suggested the program be successful. Literacy rates increased from 16.3 percent in 1871 to 47.2 percent in 1911, 67.9 percent in 1943, and more than 85 percent in the late 1970s. The educational system in Jamaica was quite complex in the 1980s. The public school system was administered principally by the Ministry of Education and regional school boards. Four major labels (pre-primary, primary, secondary, and higher education) were divided into a number of different types of schools. The pre-primary level was made up of infant and basic schools (ages four to six); primary education was provided at primary and "all-age" schools (grades one through six). Secondary schools included "new" secondary schools, comprehensive schools, and technical high schools (grades seven through eleven) as well as trade and vocational institutes and high schools (grades seven through thirteen). The twelfth and thirteenth years of high school were preparatory for university matriculation. 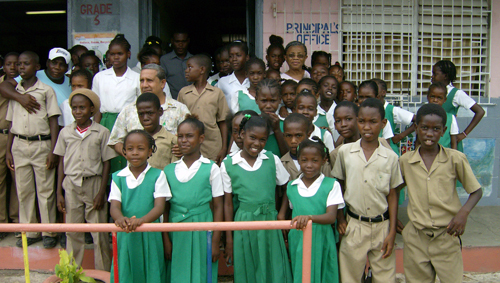 The government also administered a school for the handicapped in Kingston. Although education was free in the public schools and school attendance was compulsory to the age of sixteen, costs for books, uniforms, lunch, and transport deterred some families from sending their children to school. Public school enrollment ranged from 98 percent at the primary level to 58 percent at the secondary level in the early 1980s. Schools were generally crowded, averaging forty students per class. 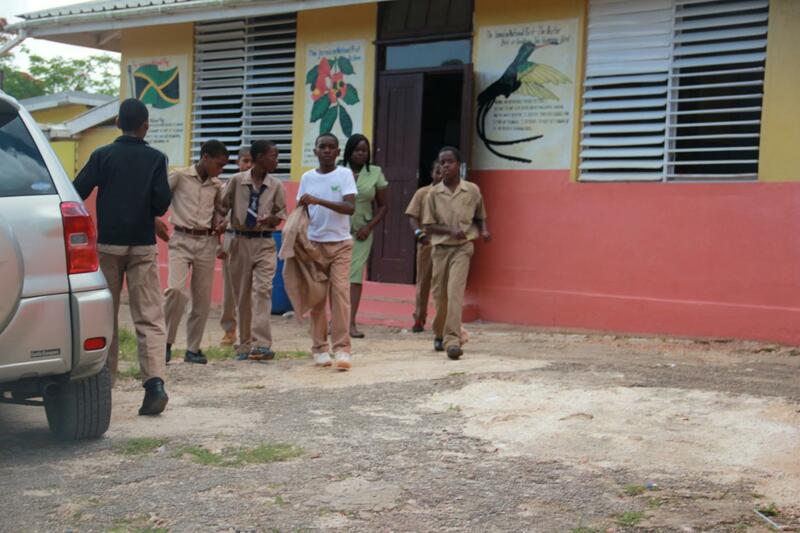 There were also some 232 privately run schools in Jamaica, ranging from primary to college. The total enrollment in private schools was 41,000, or less than 7 percent of total public school enrollment. Most private-school students were enrolled in university preparatory programs. Both public and private schools were characterized by numerous examinations that determined placement and advancement. This testing material was originally British, but by the 1980s the Caribbean Examinations Council was increasingly the author of such tests. Several colleges and universities served a limited number of Jamaican students. These included the largest campus of the University of the West Indies (UWI), the College of Arts, Science, and Technology (CAST), the College of Agriculture, various teachers colleges and community colleges, and a cultural training center made up of separate schools of dance, drama, art, and music. Located at Mona in the Kingston metropolitan area, the UWI was the most prominent institution of higher learning on the island, offering degree programs in most major fields of study. As a regional university serving the needs of all the Commonwealth Caribbean islands, the UWI also maintained campuses in Trinidad and Tobago and Barbados. Approximately 5 percent of the Jamaican population participated in university studies, although some students pursued their academic training outside the Caribbean. In 1985 the government announced plans to begin reorganizing higher education, including the eventual merger of CAST and the College of Agriculture into a polytechnic institute or a university. In the early 1980s, the government reoriented its development strategies for education, emphasizing basic education in grades one to nine and human resources training. The government's plan stressed rehabilitating and upgrading primary and basic education facilities, improving the quality and efficiency of basic education, implementing a full curriculum for grades seven to nine in all-age schools, and establishing an effective in-service training program for teachers. Problems in secondary education were also identified, such as the existence of a complicated, secondary school system that produced graduates of varying quality and wasted scarce financial resource. The goals of developing the human resource potential of the population intended to provide educational opportunities for students to prepare them for the types of jobs available in Jamaica. 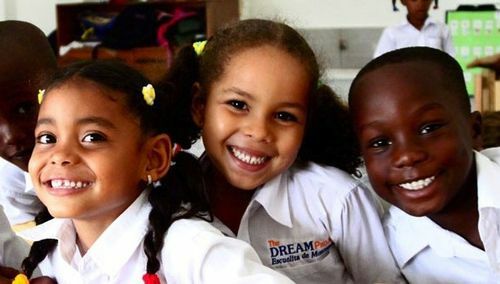 According to Prime Minister Edward Seaga, elected in 1980, a major policy in the area of primary education was to ensure that primary school graduates achieved functional literacy. Secondary education was restructured to provide students with an education sufficient to meet the requirements of upper secondary school. The government reported in June 1986 that only 9,000 of 82,000 students in lower secondary schools were receiving an acceptable level of education. At the postsecondary level, the most important initiative of the government was the Human Employment and Resource Training Program (HEART). Announced in 1982, HEART aimed at providing training and employment for unemployed youths finished with school. In 1983, roughly 4,160 persons began job training or entered continuing business education classes. In 1985 six specialized HEART academies provided training in agriculture; hotel, secretarial, and commercial services; postal and telegraph operations; industrial production; and cosmetology. Nearly 1,400 persons completed agricultural or construction trades programs administered by the Ministry of Agriculture and the Ministry of Youth and Community Development. The HEART program called for the eventual construction of 12 academies capable of training 500 youths at a time in various skills. The program's critics charged, however, that funds could be better spent on community colleges. Education became increasingly politicized in the late 1980s, mostly as a result of the scarcity of resources. Spending on education declined to about 11 percent of government expenditures in the early 1980s, after peaking at nearly 20 percent of the 1973 budget. Issues of increased pay for teachers and renewed tuition expenses at the UWI threatened to make education a national political issue. 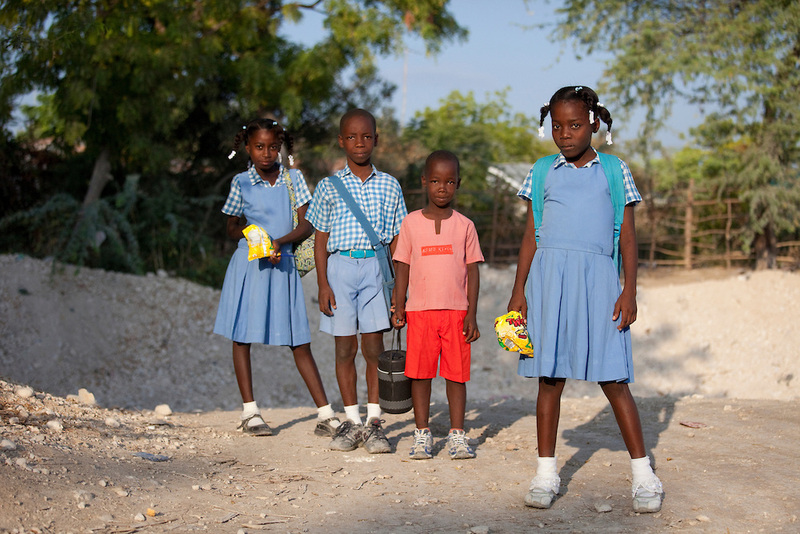 In Jamaica and other Caribbean Islands, economic and budgetary restraints are having severe impacts on Primary and secondary schools. The primary economic problems currently facing the Caribbean nations include high internal debt, a large trade deficit, swollen interest and inflationary rates, chronically elevated unemployment levels, as well as low worker productivity, all of which could fuel political unrest and escalate violence. The debt continues to hamper economic growth by weighing heavily upon resources that could be put to more productive uses. The debt overhang also limits the extension of credit lending to the private sector, particularly towards medium and small borrowers. In order to improve the economic growth, policies aimed at sustainable growth, such as a greater investment in education, have to be implemented to increase human capital and the labor force's productivity. Lack of available funds means less resources, such as supplies needed to enhance learning in the primary and secondary schools, and repairing and building new infrastructure such as schools and roads. The burden of providing these needed supplies falls on working families in countries where employment is as high as twenty percent. "Much has been said about this deadly scourge of corruption that has now invaded an adulterated Jamaica. While corruption is by no means a phenomenon confined to Jamaica, it is considered by many to be the largest single impediment to our country's attainment of sustained economic growth and development." Therefore, governments must first tackle corruption in order to reduce its debt burden which will enable investments in education and consequently decrease in unemployment. This would be perhaps the most obvious way to facilitate the island's emergence from the chronic problem of poor and uneven economic growth. International donors will be frightened away to invest in school infrastructure program, if they are not getting the "bang for their buck". Governments in the region must partner with international donors to fight corruption.